At Global Heating & Cooling radiator installation is second nature to us! With years of experience, training, and an unparalleled passion for heating and cooling, you can rest assured that you are in good hands. Our team can help you carefully select the radiator that is the best fit for your home based on your location and home layout, and install it correctly to ensure that the safety of your home and family is protected. While many do-it-yourselfers may try to install radiators themselves, it is just one of those that really should be done by a professional. An incorrectly installed radiator can pose a significant fire risk. Radiators are hot to the touch and if you choose this heating solution it is important to take precautions to protect pets and children from burns. Radiator covers are also available. Do you think a radiator is the heating solution for your home? 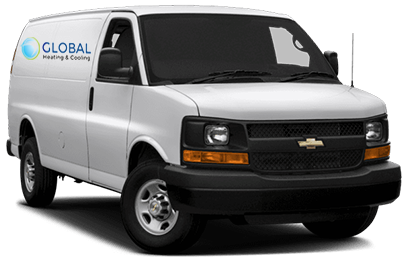 Call (773) 801-3734 to talk to an industry professional at Global Heating & Cooling. We can help answer any questions that you might have about radiators and can provide you with a FREE ESTIMATE.